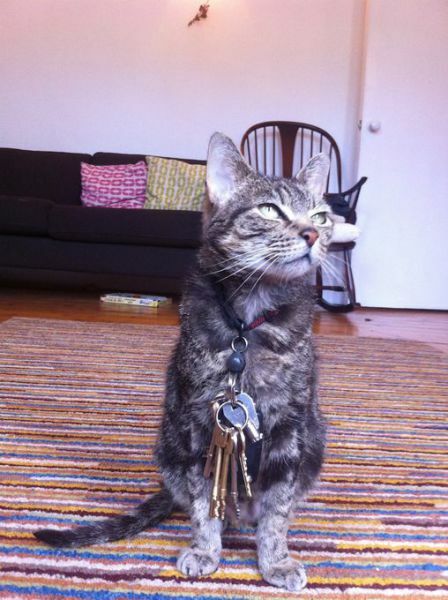 Owners of this cat named Milo bought him a new magnetic collar that could open the cat door of the house. 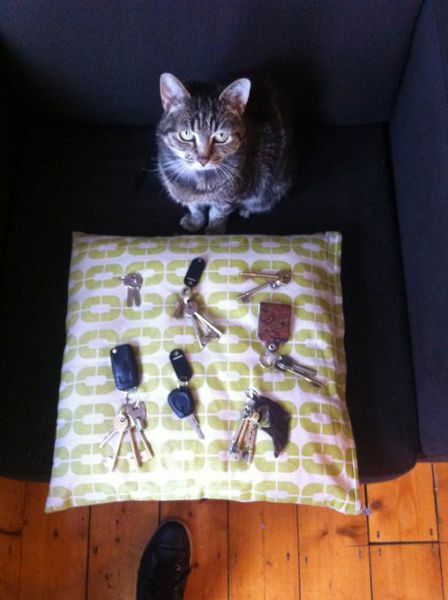 Since then Milo became the local burglar. 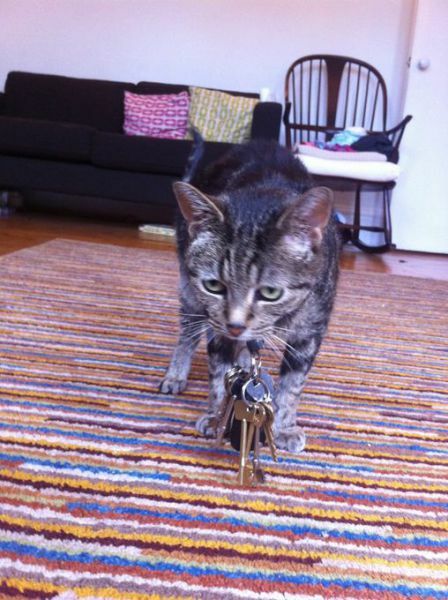 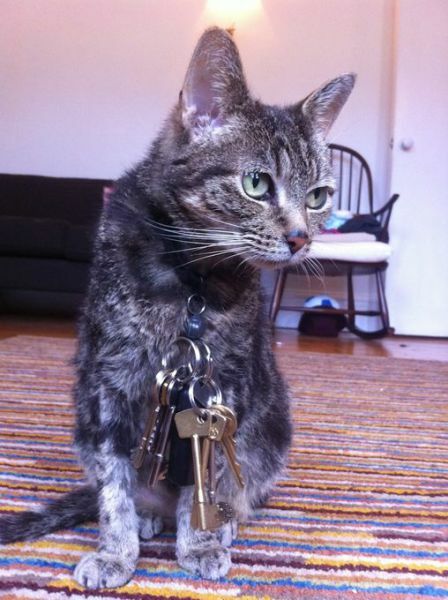 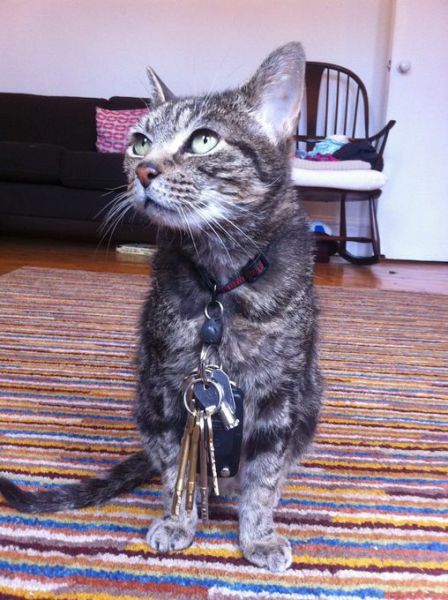 He was accidentally stealing bunches of keys on his various trips to other people’s houses. 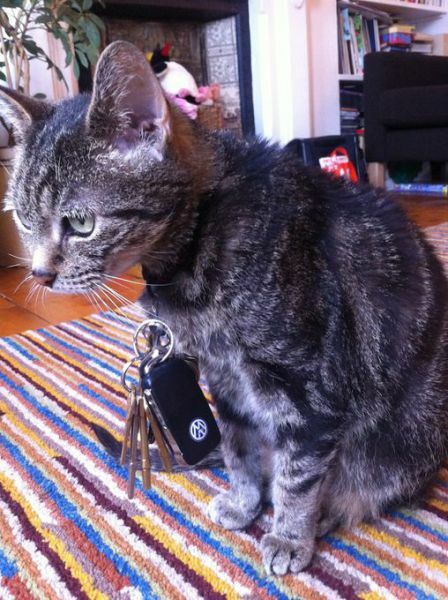 One day his owners noticed it.